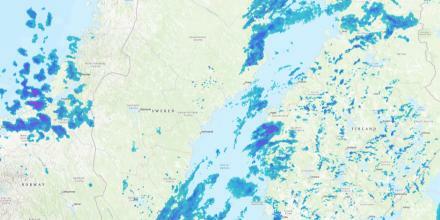 Precipitation Radar map for Sweden, Norway and Finland is now available on meteoblue website. 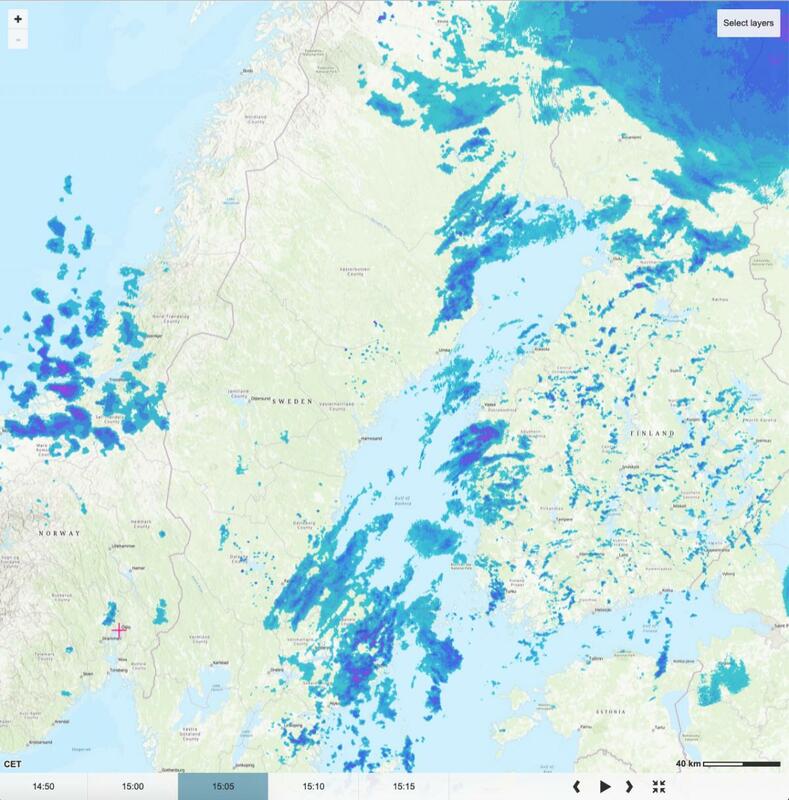 The actual precipitation Radar map for Scandinavia is our newest radar map: it is a composite of the radar data from 3 countries into one map, providing an overview for Sweden, Norway and Finland at once. We present the radar map under Current weather, and on our Homepage: just select any location in Sweden, Norway or Finland and scroll down and check the latest radar observation. The data have a resolution of approximately 1 km and are updated every 5 min. We thank the sources of the radar data, the Swedish Meteorological and Hydrological Institute (SMHI), Norwegian Meteorological Institute , Finnish Meteorological Institute (FMI), for their support of Open government data and to the evolution of a productive public-private partnership of weather services to the benefit of all stakeholders. This is the first public composite for Scandinavia with a resolution of approximately 1 km, a 5 minute update interval and a concurrent overlay of current temperature measurements. We hope this enriches your weather experience and appreciate any feedback.